The real estate sector is cheering the GST rate cut announced recently by the GST Council of India. The 33rd GST Council meeting on Sunday, 24th February 2019, lowered the GST rate on under construction properties from 12% to 5% and for affordable housing, from 8% to 1%. The reform is expected to impact sales amongst the neutral players waiting to decide on investing in properties. According to the Confederation of Real Estate Developers Association of India (CREDAI), many potential home and flat buyers are encouraged to reach out to the developers. The rates will come into force from first April 2019. It is brought into force by notification in the Official Gazette. The GST rate cut will provide the much-needed relief to the real estate sector. People and buyers who are currently not able to decide due to the price and tax elements will be inclined to make new decisions as the new GST rates are now conducive and more affordable. The key decisions made by the council are as follows. The new definition consists of two requirements to classify housing as affordable. Affordable housing in the metro cities, namely Delhi NCR region, Mumbai MMR region, Kolkata, Chennai, Hyderabad, and Bengaluru, will include properties with a carpet area up to 60 square meters and cost up to Rs 45,00,000. For non-metro cities, properties with a carpet area of 90 square meters and cost up to Rs 45,00,000 will fall under the affordable housing segment. The revised GST rates will withdraw the earlier benefit of the input tax credit. Thus, the reduction of the GST rate will directly benefit home buyers. This will make the tax applicability and real estate transactions more transparent. The GST council meeting has also decided that an intermediate tax on Transferable Development Rights, Joint Development Agreements, long-term lease (premium) and Floor Space Index (FSI) shall be exempt only for such residential properties on which GST is applicable. The exemption will facilitate better cash flows in such transactions. With regard to those projects/properties where construction work has already begun, transition rules and guidelines will be drafted by the tax authorities. This will provide clarity on applicability of GST on such projects/properties. The change in the GST rates will boost the demand for real estate due to the recent slow-down in the sector. This move should not only drive sales but also promote the developers to undertake affordable housing projects. These changes also seek to make the tax structure more transparent, the tax compliance easier and less cumbersome for developers. Why invest in Calicut real estate? Calicut, the city of Zamorins is a city steeped in history & culture. In the long run Calicut has come out as the most favourite real estate destinations in the country. With robust development plans & an increasing number of social infrastructures offered by the city, Calicut is attracting hordes of investors and home buyers. 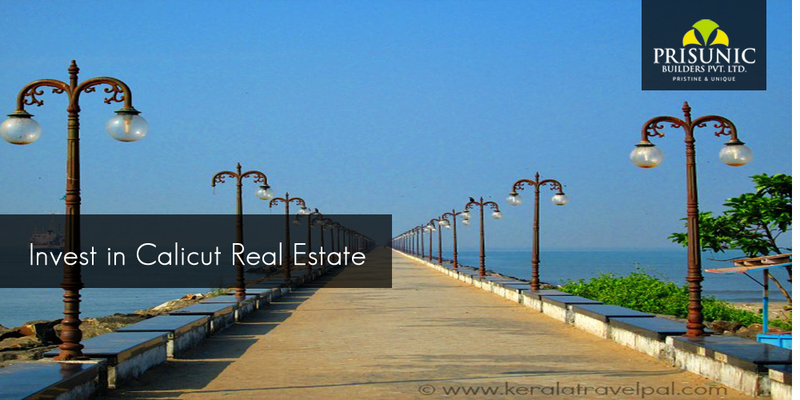 It is good to check out reasons why to invest in Calicut real estate. The multi-cultured city of Kerala, Calicut is also one of the most sought after tourist hotspots in Kerala. The appreciation in the price of residential properties over the last 5 years shows that Calicut has significant scope for real estate business, besides being a tourist destination. Calicut with its adjacent major districts of Wayanad, Kannur and Malappuram has excellent connectivity with its good number of highways and other transportation means. Being a major trading spot for the people of Malabar and those traveling to neighbouring cities Calicut is also considered as an advantageous destination for real estate business. Calicut has to its credit a good number of education institutions like the NIT, IIM, Medical College & major healthcare providers like MIMS, BMH, PVS Hospital etc. and many more leading social infrastructures making it the perfect residential destination for a hassle free living. Calicut is considered to be one of the safest residential hubs in South India due to the fabulous tradition and culture followed by the city. The increasing number of malls and multiplexes is driving entertainment lovers to this city. Compared to the higher living and operating costs, Calicut provides good living at a lower price which is attracting many people to shift to Calicut. As more and more people are thinking of moving to the city, there will certainly be a steady demand for investing in real estate in Calicut. Prisunic Builders, reputed builders in Calicut, offers you a range of quality residential & commercial projects in Calicut to invest in real estate. Investing in commercial real estate is like investing in a piece of the commerce and business activity that drives the economic engine of the nation. When it comes to investing commercial real estate stands a notch higher amongst the other choices as Commercial real estate investments do not fluctuate with the same volatility as the stock market. Here are some reasons as to why should you invest in commercial Real Estate? Commercial Real Estate Investments offer a regular income stream which is significantly higher than typical stock dividend yields as the assets are generally secured by leases. There is excellent appreciation in value that meets and exceeds other investment types for commercial Real Estate Investments. With proactive management like making cost-effective improvements to the property that improves the usability and desirability of the asset, properties generally can go up in value. Also external factors like supply and demand imbalances also increase the value. The ability to place debt on the asset which is several times the original equity is another important characteristic of commercial real estate investing which works to your advantage. As the loans are paid down this allows you to buy more assets with less money and significantly magnify your equity. As shown by studies conducted, commercial real estate investments have the highest correlation to inflation when compared to other asset classes like shares & corporate bonds. In fact, owning commercial real estate acts as a hedge against inflation. When inflation occurs, the price of real estate will also rise. Commercial Real Estate is a hard asset with meaningful intrinsic value. The property’s land as well as the structure itself has value. By choosing the location and asset quality wisely, investors can benefit from the asset which has the potential to earn income regardless of what happens to the existing tenant(s). As the owner of commercial real estate, mortgage interest and depreciation deductions can shield a large portion of your income stream. The pride of ownership factor which comes with owning commercial Real Estate is one of the highest among all asset classes. There is great joy and pleasure in knowing you own an income producing property. 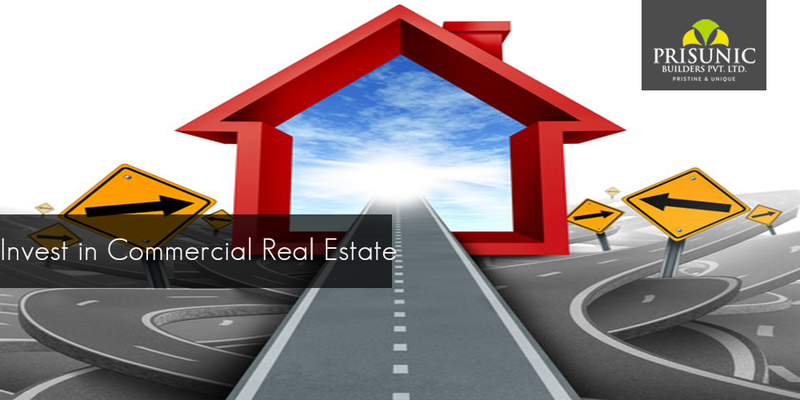 Now that you know the reasons for why should you invest in commercial Real Estate? Do not hesitate! Start investing now! Contact Prisunic Builders to build your money spinning real estate investment!